Western Australia’s flagship contemporary dance company Co3 will present three world premiere works in 2019. The resident company at the State Theatre Centre, Co3 officially announced its season, which will feature new collaborations, performance locations and a profound local story of racial segregation. 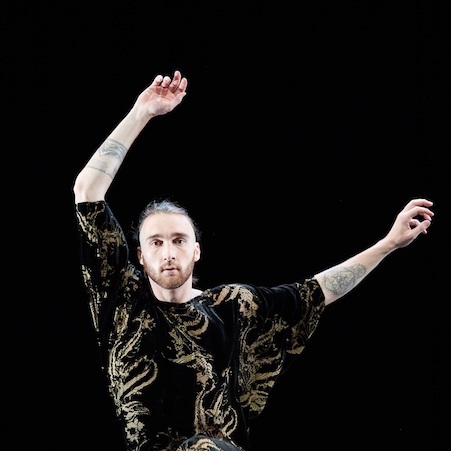 This month, as part of the Perth Festival, and in collaboration with West Australian Ballet’s In-Synch: Ballet at the Quarry, Co3 will present Reincarnation by Australian Dance Theatre Artistic Director Garry Stewart. In a context where hybridity and fusion are vogue, Reincarnation will stand as a testament to the distinct and authentic heritages of contemporary and classical form. This first-time collaboration between the companies will tour to Kalgoorlie, Port Hedland, Karratha and Mandurah in March and April, directly after the Quarry season. In May, the powerful new work, The Line, created by Co3 Artistic Director Raewyn Hill in collaboration with award-winning lighting designer and director Mark Howett, will be performed at the Heath Ledger Theatre. The Line is a Western Australian story of segregation, confinement, abandonment and of cross-racial relationships during the 1930s in Western Australia, drawing on the little-known story of the Prohibited Line that existed for indigenous people in central Perth from 1927 to 1954. 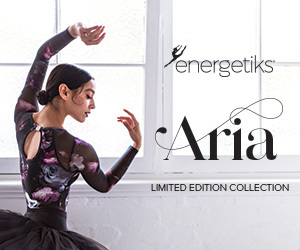 Driven by the tenacity of Co3 artists, The Line is inscribed with live accompaniment by award-winning musician Eden Mulholland and internationally renowned piano-accordionist James Crabb. In October, Co3 will partner with the prestigious Art Gallery of Western Australia (AGWA) and Hassell Architecture for the world premiere of Reason for Being: The Finale. Hill creates a response to the State Art Collection and Gallery architecture, re-interpreted through contemporary dance. It is part of AGWA 40, the fortieth anniversary of AGWA’s iconic brutalist building opened in October 1979. Supporting the next generation of WA talent, ECU’s LINK Dance Company will perform alongside Co3 dancers, joined by artists from a range of art forms as collaborators. 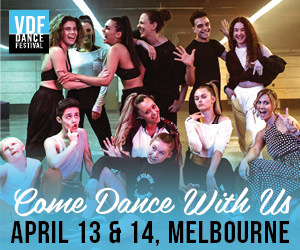 And Then Some, a new partnership pathway between Co3 Australia, STRUT Dance, the State Theatre Centre of Western Austalia and The Blue Room, will increase the pipeline of development and presentation opportunities for the independent dance sector. Co3 will select one of the works from the program for further development to accompany a Co3 mainstage production in 2020. Co3 and The State Theatre Centre of Western Australia will partner to offer an inaugural residency at the State Theatre for an eligible WA artist or arts worker. Co3 will call for applications from artists or arts workers of any discipline to propose projects to connect them and their practice to Co3’s program in new and innovative ways. The company is also introducing Co3 Industry Tickets for artists and arts workers not in full-time employment to give access to Co3’s ticketed shows for $25. In 2019 Co3 continues to develop and work with young people through its Act-Belong-Commit Co:Youth Ensemble and Elite Training Squad Programs. A platform for the 60-strong Co:Youth Ensemble, PROJECT NEXT, enables the young dancers to respond to Co3 repertoire and works by Hill, creating an important artistic dialogue between generations and producing fresh and original dance works. Created by members of the Act-Belong-Commit Co:Youth Ensemble with choreographic leaders Laura Boynes, Scott Elstermann and Brooke Leeder, PROJECT NEXT will bring to life aspects of AGWA’s State Art Collection onstage in July 2019. Co3 will continue to support the next generation of artists through its Co:Lab program. Working directly with Hill, Co:Lab offers artists the opportunity to focus on the development of choreographic practice and the creation of work which will be considered for further development in Co3 artistic programming. Visit www.co3.org.au for more information. Photo: Co3 dancer Mitch Harvey. Photo by Stefan Gosatti.